On Tuesday, October 16th, over 150 residents attended the Sparks Grant Open House at the Verdigre Public Library. “Which one is the homework computer?” asked Carter Nelson, a 6th grader at Verdigre Public School, the day after attending the open house. 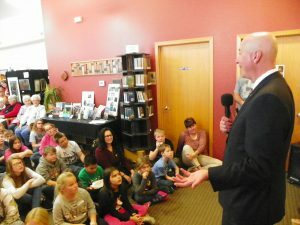 Those homework computers that Carter was referring to are part of an Institute of Museum and Library Services (IMLS), National Leadership Grant (NLG) awarded to the Nebraska Library Commission in partnership with the Nebraska Office of the Chief Information Officer in April of 2018. The IMLS Sparks Grant, Nebraska Schools and Libraries–Breaking the Ice and Igniting Internet Relationships, as the name implies, is intending to kindle partnerships between schools and libraries, and through Internet sharing, to help narrow the Homework Gap for public K-12 students. 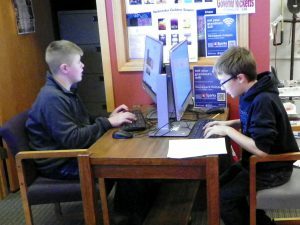 The Verdigre Public Library has a new Homework Hotspot located in the library, with the internet for the hotspot provided by Verdigre Public Schools. The school offers internet speeds that are 7 times faster than internet speeds offered at the public library. Students and staff members from Verdigre Public Schools can access the school’s internet connection to complete homework by using either one of the two new desktop computers purchased by the grant or their own school issued devices. 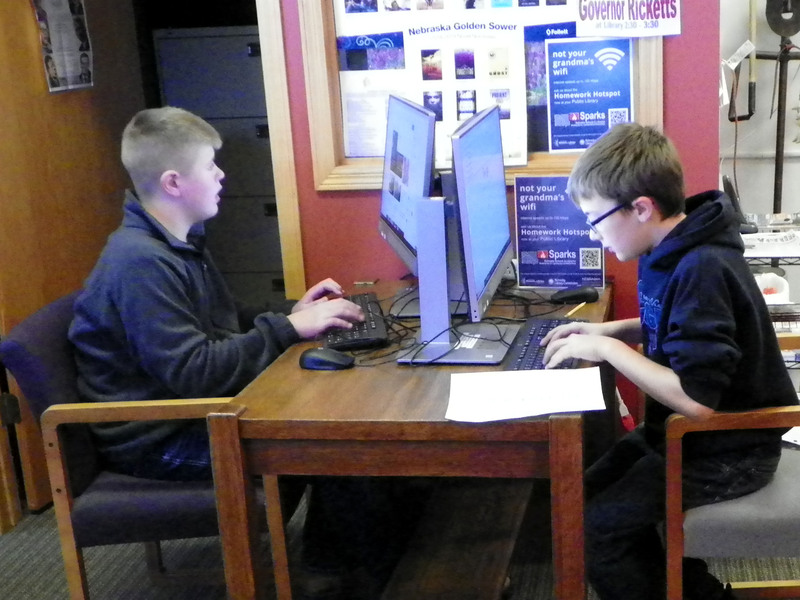 The library offers a location for students who may not have internet at home, have poor connectivity or very slow internet at home to complete their schoolwork. 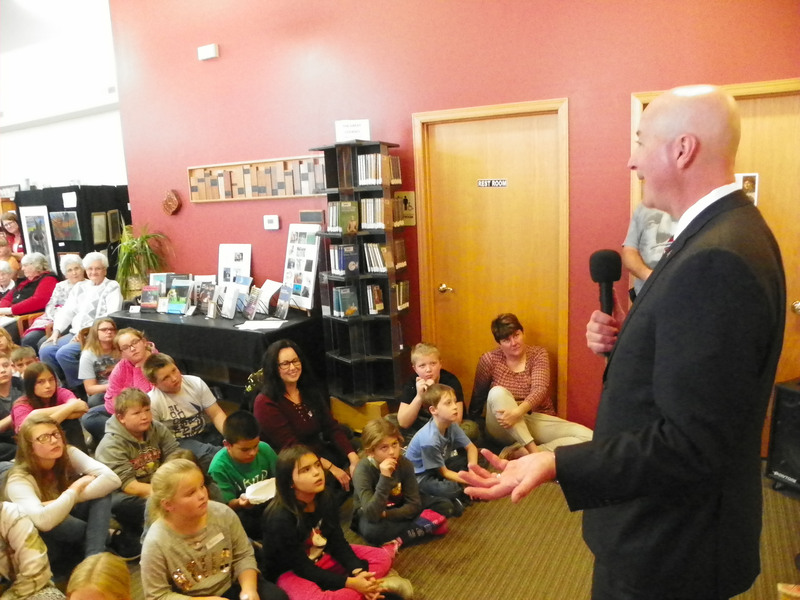 Verdigre is one of five Nebraska communities that are participating in the grant project. The other communities include Bancroft, Genoa, Imperial, and Wymore. The Sparks Grant is for one year, at the end of that year, each community will evaluate the project and decide if they want to continue the project with local funding. This shared internet is made possible in part by IMLS grant: LG-99-18-0018 and the following partners. Applications for CE/Training Grants are Open! The Continuing Education/Training Grants are back this year and the applications are now open! For more details about filling out the applications, the archived session “NCompass Live: 2018 Continuing Education/Training and Internship Grants” is now available. United for Libraries is accepting applications for the United for Libraries Friend Conference Grant through Jan. 15, 2018. The United for Libraries Friend Conference Grant enables one member of a Friends of the Library group at a public library to attend the ALA Annual Conference. Applicants must be first-time attendees, and must be active in their public library Friends group. The winner will receive a grant of $850, plus full ALA Annual Conference registration. The applicant must be a member of a Friends of the Library group in a public library, and a first-time attendee of any ALA conference (Midwinter or Annual). For more information and to apply, visit www.ala.org/united/grants_awards/friends/united. 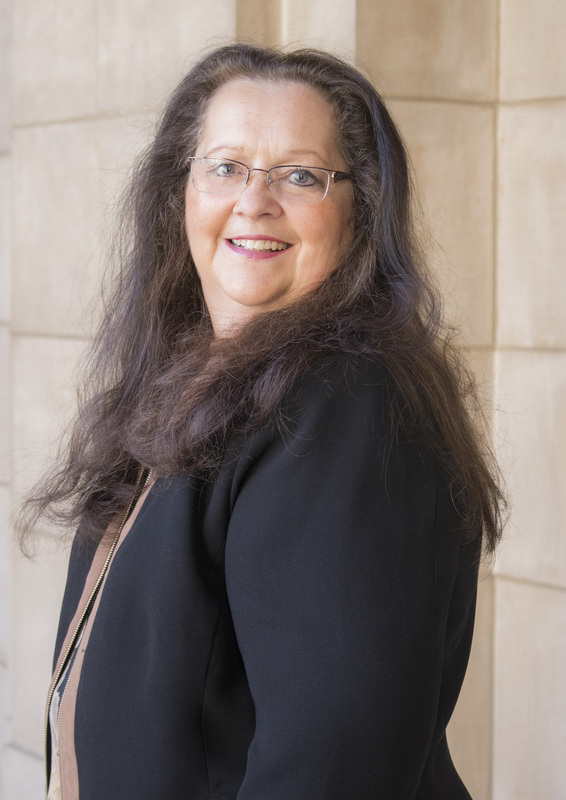 JoAnn McManus (nee Jedlicka) was recently selected as a co-recipient of the Library Commission’s state of Nebraska Excellence in Leadership recognition award. She joined the Nebraska Library Commission in 2010 to work on the Library Broadband Builds Nebraska Communities Project funded through the Broadband Technology Opportunities Program (BTOP). Currently, she is working with the Library Innovation Studios Project (funded through an IMLS grant) with a team of Library Commission staff. JoAnn grew up on a farm just outside of Schuyler, NE and is one hundred percent Czechoslovakian. 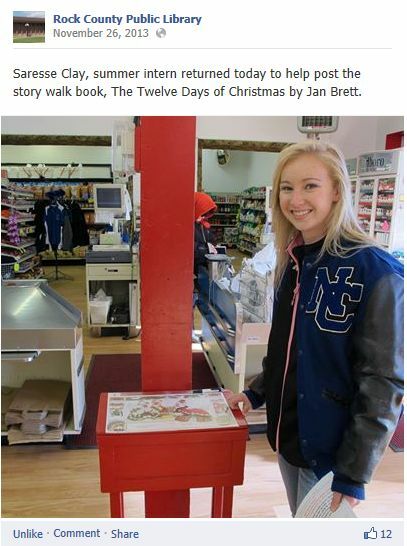 She graduated from Schuyler Central High School and is the youngest of thirteen children. Her mother was also from a family of thirteen. JoAnn was named after her first cousin, who was a child movie star named JoAnn Marlowe (Mares) who’s most famous picture was Mildred Pierce amongst the ten to her credit. If JoAnn could have dinner with anyone she would like to dine with Warren Buffett and should a winning lottery ticket find its way to her possession, she would retire and begin traveling with Hawaii and Ireland being top of her list. When she is not working at the Commission, JoAnn enjoys going to estate sales and is drawn to buying pretty objects. She has one case and two booths at the Aardvark Antique Mall and her family is always surprised when what looks like a useless purchase actually sells. JoAnn won’t be quitting her day job anytime soon, selling ‘treasures’ pencils out as more of a hobby. JoAnn is married to Brian McManus and together they have a son Daniel. They also share their home with one cat named M&M. A perfect day would include spending time with her family enjoying adventures together. Congratulations JoAnn! Did you see that great article in Novelist’s RA News newsletter about the Sisters in Crime organization? This group of women mystery writers will give a $1000 “We Love Libraries” grant to a lucky U.S. public library each month. See the RA News article (and maybe sign up to get the newsletter in your email) at http://www.libraryaware.com/14/NewsletterIssues/ViewIssue/40e4b2e6-de96-4cdf-8c2f-2971bc947165?postId=5854230f-a406-4ff3-a615-77c67ed49f0b. 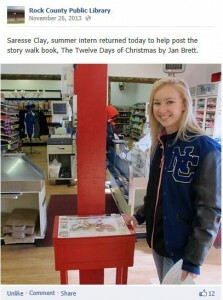 See more about the SinC grant opportunity at http://www.sistersincrime.org/default.asp?page=53.